As promised in my previous post, here's the surprise in the form of a sock pattern. The cable stitch is adapted from stitch books, using one of my favorite yarns. Click on the picture for the pattern. such awesome socks!! congrats on the pattern!! WOW, these socks are marvellous! I am planning to make these this year. 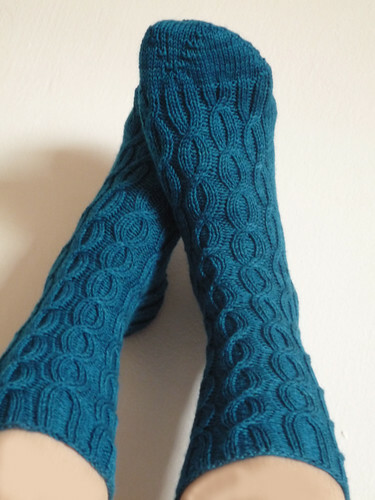 I'm a sock knitter in the US (I'm geminiknitter on ravelry)and I'd love to make these Fa Fa Fa Socks. But when I click on the photo to get the pattern, the message says I've reached the limit for bandwidth for google. Is it available in PDF format? I really like them! !